Emily Fox in Editor's Picks Fashion & Beauty on 30 November, 2016. Meet Will Broad: Durham graduate, city professional and newly launched apparel entrepreneur. Will studied BA Geography at Chad’s and graduated in 2014. Since then he has been working in London and coolly developing his very own business on the side. 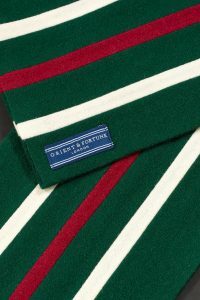 Orient & Fortune are a sleek, vibrant and quality English accessories brand already beginning to stand out within men’s goods. What is the meaning behind “Orient & Fortune”? When coming up with the initial concept, I realised I wanted to create something that encompassed an element of adventure, tradition and sportsmanship, but with a slight twist. I’m a huge fan of classic British design, but I felt I wanted to combine this with something a bit more exotic and striking. 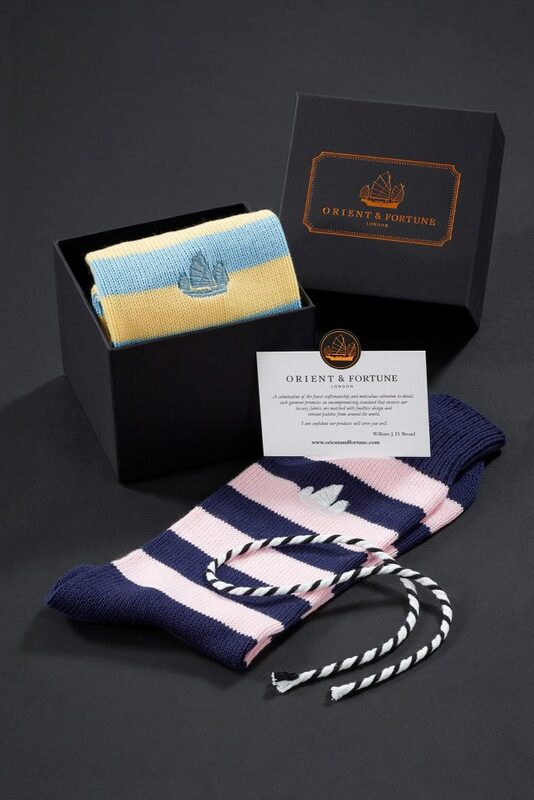 “Orient” is all about the heritage of palettes and – soon to be – patterns that are used in the brand and “Fortune” is a nod to the traditional, the established and (un)conventional. For me, the brand is very much a tribute to the understated gentleman, who is typically modest and well mannered, but who also has a great sense of humour and a bit of a wild side. I wanted that to play out in our products, so I’ve placed a huge emphasis on sourcing the finest British goods with a massive focus on quality, but have also combined that with some really vibrant palettes that are used in so many fabrics from the Indian sub continent and Far East, adding the less conventional, wild side to the traditionally reserved British product. Why did you choose men’s accessories as your first business venture? I think we’ve overlooked them too much in the past! There is a fantastic market for women’s accessories but, short of another pair of cufflinks, it has been hard to make a gent’s outfit stand out. I think most people would agree that unfortunately the tie* is not used as much as it was 15 years ago, so being able to personalise your suit with something a little more unique, such as a colourful pair of socks or a striking scarf, seemed like a great place to start. * I love ties. They are in my next range. 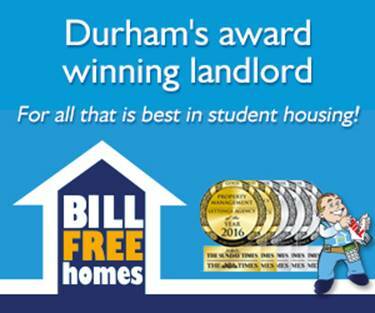 Did any particular entrepreneurial experience during your time at Durham inspire you to start your own company? Probably not at Durham so much, although I’d acknowledge that, figuratively speaking, there were a few pennies dropped into my decanter of entrepreneurial ideas while I was there (mail to St. Chad’s College Wine Cellar for more details on that one). That said, before Durham, at school, I started out and got some really basic business experience. I remember I raised some money for the Asian Tsunami reconstruction fund back in early 2005 by baking and selling biscuits from my locker, although my entrepreneurial experience really took off when I started senior school and sold food from my tuck box in a bid to undercut the local shop – so I suppose that’s where it started! The brand absolutely isn’t about compromises – it’s about adding something exceptional to the customer experience. 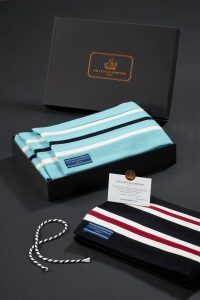 I’m really keen to make sure the meaning of sportsmanship plays out in how we conduct our business – ‘fair play’ in terms of free first class postage and luxury packaging on all items, for example. What has been your biggest highlight so far in the process of launching Orient & Fortune? Travelling towards the north of England to meet our suppliers was great. We got to know a lot about their family run businesses and also received a tour of the factory floors. Some of these places are really essential for the local economy and have employed a lot of the local workforce for years, so it felt quite special to be part of supporting that process. What’s your favourite piece from the current collection and why? From the scarves, I’m a huge fan of the colours used in the Indian, although I wear an Atlantic scarf to work for more formal occasions. From the socks, probably Harrogate or Epsom, although I think the palette used in Buxton is really exciting – it depends what I’m using them for. Either way, they all work really well with a good pair of trousers or jeans and some suede shoes. Where do you see the brand in a year’s time? What are your aspirations for Orient & Fortune’s future? My father has always said “if you want to make fate laugh, show it a business plan”, so I’m being really open to new ideas right now. 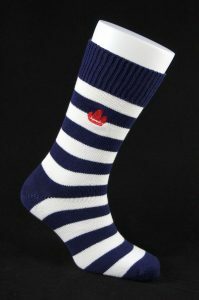 I’d like to have expanded out from the town sock range into a luxury city sock range for more formal occasions. I’ve also got some great ties on the horizon with some really neat patterns, so as long as I’ve launched those I’ll be pleased. My main focus right now is to try and market the brand as a ‘go to’ for affordable luxury, so if I’ve built up a loyal following this time next year, that would be a great start. I’m also looking to supply our products to retailers, so watch this space! To the future – homeware is something I’d like to branch in to, but also events (who doesn’t love a decent event?!). I’m very optimistic about the brand’s flexibility, so who knows quite where we will end up?! That’s ultimately down to the customer, the feedback we receive and doing our best to make sure our clients are happy. If we are able to achieve the latter and maintain our current attention to detail, that’s all I can ask for. 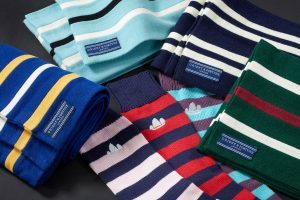 Choose from O&F’s lovely selection of socks and scarves during your Christmas shopping this year. They’re bound to be a hit. Find their links below.